See Dealer for details! Price good on this unit only! Specials price is with all Factory Cash incentives and is NOT available with any special financing offers. College Grad & Military Rebates Not Included. Limited time offer. Our new vehicles sell very quickly, so call (888) 458-1293, email, or click to chat from our dealership website's homepage to get more information on this 2019 Toyota Corolla LE or to set up an appointment for your test drive. When you set an appointment, you work with our BEST Product Specialists, you get our lowest price on the lot, and can even have this vehicle pulled up and waiting on you! This Corolla is equipped with power windows, power locks, cruise control, Bluetooth, XM and rear view camera. Come see it today.Come to your Macon dealership with a local family touch. 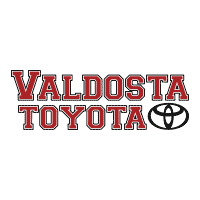 Get a reliable new Toyota today at our dealership, located at 4580 Riverside Drive in Macon, GA.Delivers 36 Highway MPG and 28 City MPG! This Toyota Corolla delivers a Regular Unleaded I-4 1.8 L/110 engine powering this Variable transmission. Window Grid Antenna, Wheels: 16 x 6.5 Wide Vent Steel, Wheels w/Full Wheel Covers. *This Toyota Corolla Comes Equipped with These Options *Variable Intermittent Wipers, Urethane Gear Shift Knob, Trunk Rear Cargo Access, Trip Computer, Transmission: Continuously Variable (CVTi-S), Toyota Safety Sense P, Torsion Beam Rear Suspension w/Coil Springs, Tires: P205/55R16 All-Season, Strut Front Suspension w/Coil Springs, Steel Spare Wheel. *Visit Us Today *Test drive this must-see, must-drive, must-own beauty today at Butler Toyota Co., 4580 riverside Dr, Macon, GA 31210. See Dealer for details! Price good on this unit only! Specials price is with all Factory Cash incentives and is NOT available with any special financing offers. College Grad & Military Rebates Not Included. Limited time offer. Our new vehicles sell very quickly, so call (888) 458-1293, email, or click to chat from our dealership website's homepage to get more information on this 2020 Toyota Corolla LE or to set up an appointment for your test drive. When you set an appointment, you work with our BEST Product Specialists, you get our lowest price on the lot, and can even have this vehicle pulled up and waiting on you! See Dealer for details! Price good on this unit only! Specials price is with all Factory Cash incentives and is NOT available with any special financing offers. College Grad & Military Rebates Not Included. Limited time offer. Our new vehicles sell very quickly, so call (888) 458-1293, email, or click to chat from our dealership website's homepage to get more information on this 2019 Toyota Corolla SE or to set up an appointment for your test drive. When you set an appointment, you work with our BEST Product Specialists, you get our lowest price on the lot, and can even have this vehicle pulled up and waiting on you! 0.0/0.9/0.9/2.9 annual percentage rate financing on new 2019 Corolla with respective terms of 36/48/60/72 months. This offer applies to well-qualified buyers and requires approved credit and financing through Southeast Toyota Finance. Not all buyers will qualify for these rates. Payments may be deferred for the first 90 days; interest accrues from inception. Monthly payment for every $1,000 financed is 0.0% – 36 months = $27.78; 0.9% – 48 months = $21.25; 0.9% – 60 months = $17.08; 2.9% – 72 months = $15.22. No down payment required. Excludes tax, tag, registration, title and dealer fees of $599. May not be combined with certain other offers. Must complete retail sale and take delivery between 04/02/19 and 04/30/19. For well-qualified lessees with approved credit through Southeast Toyota Finance. Not all lessees will qualify for this payment amount. Closed-end lease on new 2019 Corolla LE model # 1852, excludes Hatchback and iM, with automatic transmission and select equipment. Adding options increases payment. $179.00 per month for 36 months. $2,878 due at signing includes $2,699 down payment and first month’s payment. No security deposit required. $17,729 Adjusted Capitalized Cost is based on down payment; Excludes tax, tag, registration, title and dealer fees of $599. Monthly payments do not include applicable taxes. Lessee pays the remainder of maintenance after ToyotaCare expires, excess wear and use, and $0.18 per mile over 12,000 miles per year. Lease payments total $6,444. Disposition Fee of $350 due at lease-end. May not be combined with certain other offers. Must take delivery between 04/02/19 and 04/30/19. 0.9/0.9/1.9/2.9 annual percentage rate financing on new 2020 Corolla (Non-Hybrid) with respective terms of 36/48/60/72 months. This offer applies to well-qualified buyers and requires approved credit and financing through Southeast Toyota Finance. Not all buyers will qualify for these rates. Payments may be deferred for the first 90 days; interest accrues from inception. Monthly payment for every $1,000 financed is 0.9% – 36 months = $28.21; 0.9% – 48 months = $21.25; 1.9% – 60 months = $17.54; 2.9% – 72 months = $15.22. No down payment required. Excludes tax, tag, registration, title and dealer fees of $599. May not be combined with certain other offers. Must complete retail sale and take delivery between 04/02/19 and 04/30/19. For well-qualified lessees with approved credit through Southeast Toyota Finance. Not all lessees will qualify for this payment amount. Closed-end lease on new 2020 Corolla LE (Non-Hybrid) model # 1852, excludes Hatchback and iM, with automatic transmission and select equipment. Adding options increases payment. $199.00 per month for 36 months. $2,898 due at signing includes $2,699 down payment and first month’s payment. No security deposit required. $18,560 Adjusted Capitalized Cost is based on down payment; Excludes tax, tag, registration, title and dealer fees of $599. Monthly payments do not include applicable taxes. Lessee pays the remainder of maintenance after ToyotaCare expires, excess wear and use, and $0.18 per mile over 12,000 miles per year. Lease payments total $7,164. Disposition Fee of $350 due at lease-end. May not be combined with certain other offers. Must take delivery between 04/02/19 and 04/30/19.